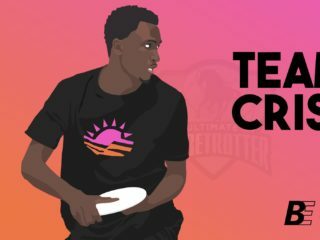 Mike Palmer has been playing Ultimate since 1998 and has been involved in videoing Ultimate since 2010. 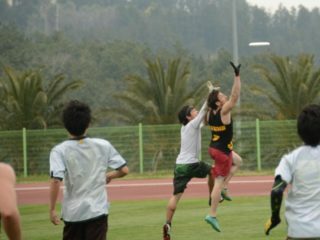 He is the “ulti.TV” guy in Australia and has worked on many Ultimate broadcasts around the world over the years, including the Australian Championships, WUGC 2012 Japan, AOUCC 2013 Singapore, New Zealand Nationals 2013, WJUC & WUCC 2014 Italy, WCBU 2015 in Dubai, WJUC 2015 London, EUC 2015 Denmark, the AUDL Championship weekend in San Jose USA and most recently PAUC 2015 in Mexico. Mike also works on Cricket and Australian Rules Football productions at the Adelaide Oval in his home town. The two things he is most passionate about are Ultimate and Live Video Production. What would the ideal ultimate broadcast look like? Mike Palmer of ulti.TV explores the broadcast fan experience and questions how improvements could be made. Why $75K? Why Broadcast WUGC? What if major WFDF event had no player fees? What if your team was even paid to participate? Skyd Productions President Mike Palmer on why you should contribute to the WUGC Kickstarter today.